You change your diet when you need to lose a few pounds. You clean up your diet when your doctor tells you that your health depends on it. But do you alter anything about your diet for the health of your mouth? The foods and beverages that you choose to consume enter the body directly through the mouth; therefore, it only makes sense to consider how what you choose to consume affects your oral health. However, this is often one of the most overlooked aspects of health, and it can lead to serious, unwanted outcomes. Understanding what occurs inside the mouth on a day to day basis is extremely important to your oral health. Each day, there are millions of bacteria present inside your mouth that intend to help you out. Their main job is to break down the tiny particles left behind inside the mouth after you eat and drink anything other than water. These bacteria quickly attach themselves to these particles, and break them down so that they are not decaying at the tooth and gum line. While this process sounds helpful and beneficial, the bacteria turn from being helpful to harmful in a short span of time. As the bacteria go to work, they begin to produce acids to help them in their endeavors. These acids help them break down particles more quickly so that they can move on to other particles. However, as with all other acids, acids continue to eat their way through whatever is in their path. This means that when the acids have completed their breakdown of food particles, they will continue to destruct whatever is closest – this being your tooth enamel and gum tissue. Acids are ultimately what are responsible for cavities and gum infections, and they can continue to cause extreme destruction inside the mouth. Your diet plays a direct role in how these harm your teeth. The bacteria inside the mouth are most attracted to the sugars in the foods and beverages that you consume. When sugary particles are left behind, bacteria will congregate in extremely high numbers, thus producing an extremely high rate of acid specific spots within the mouth. This causes cavities to develop rapidly over a very short amount of time. By limiting your intake of sugar (and artificial sweeteners – bacteria cannot tell the difference between real sugar and artificial sugar), you are promoting your oral health. 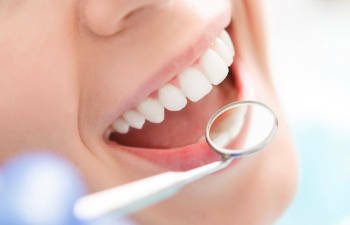 At Allen Dentistry, we are happy to help you develop a diet plan that is healthy for your entire body – including your mouth.